Not too long ago I did a Kickstarter Spotlight for a game called Armored Core RTS. 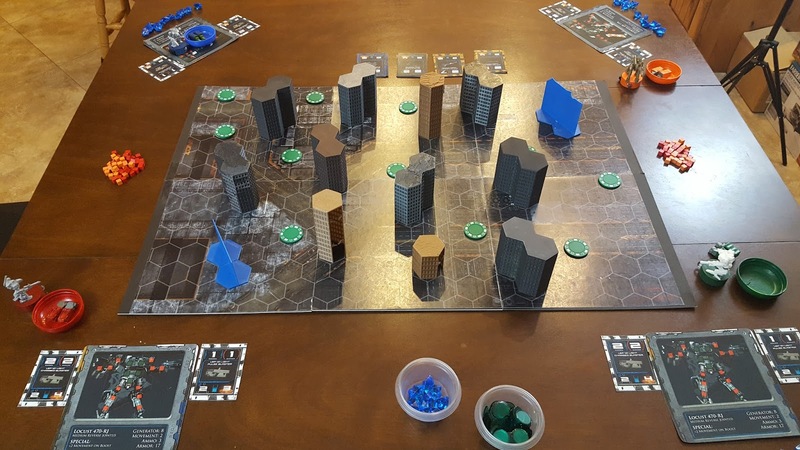 Well after some ups and downs and a significant name change Bad Crow Games is only days away from wrapping up their Kickstarter project. You may have heard some of the grumblings from around the web when Bad Crow Games announced that they were dropping the Armored Core IP and changing the name of the game. Many of the AC fans were not too happy about the news and immediately pulled out as backers. I had a chance to talk with Christopher Gabrielson about the change and he told me that the IP partnership they had in place was getting complicated and that future plans for the project were going to be slowed significantly if they stayed the course. 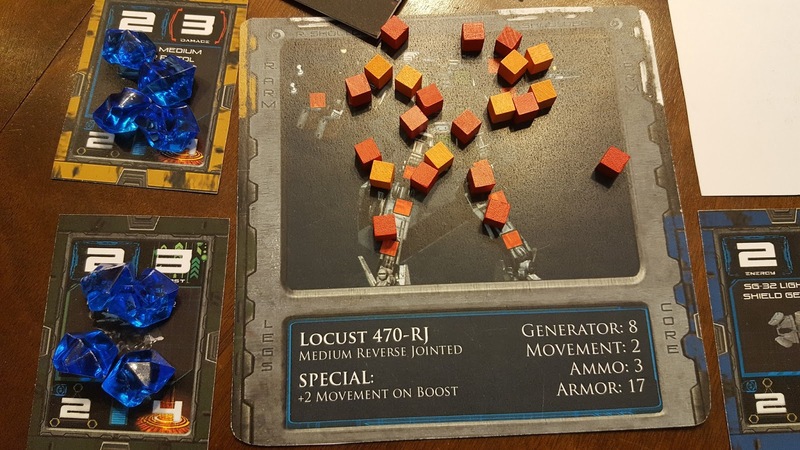 So instead of disappointing backers with slow delivery of an uncertain product they pivoted and moved forward with Mech Command RTS. 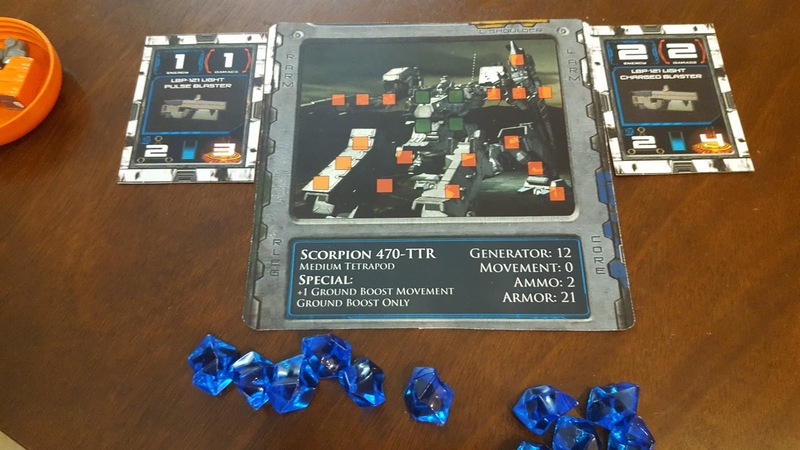 According to Christopher, Mech Command RTS is the exact same game as Armored Core RTS without the well known IP. 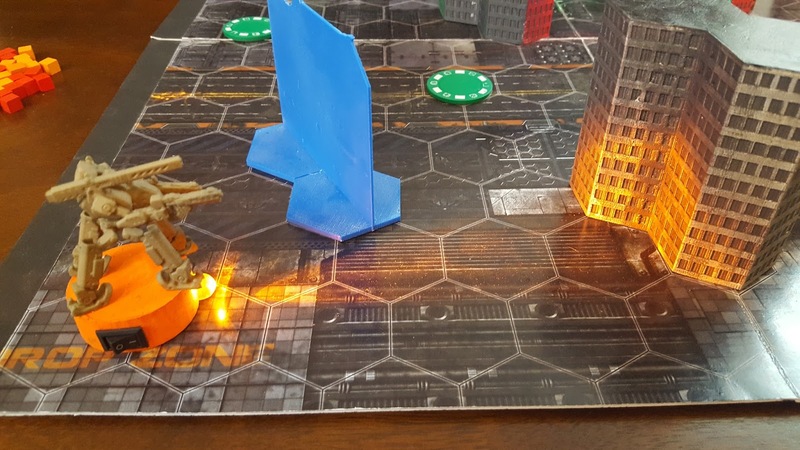 All the mechanics and game play will remain the same while only the artwork and miniatures have been modified. During my visit with Christopher I had a chance to check out how the game plays and even give it a spin myself. Here is a short clip. After talking with Christopher and his co-designing brother Brian it became clear that these guys are passionate about this game and the experience players will have while playing it. It not only comes through in the way they talk about the game but also in the game itself. 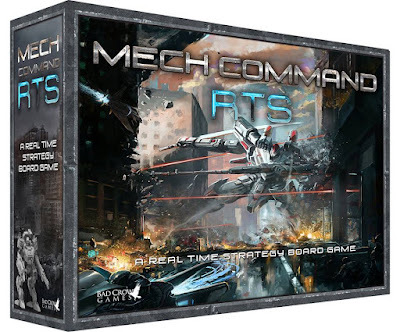 Mech Command RTS is an innovative game both in terms of game play and components. 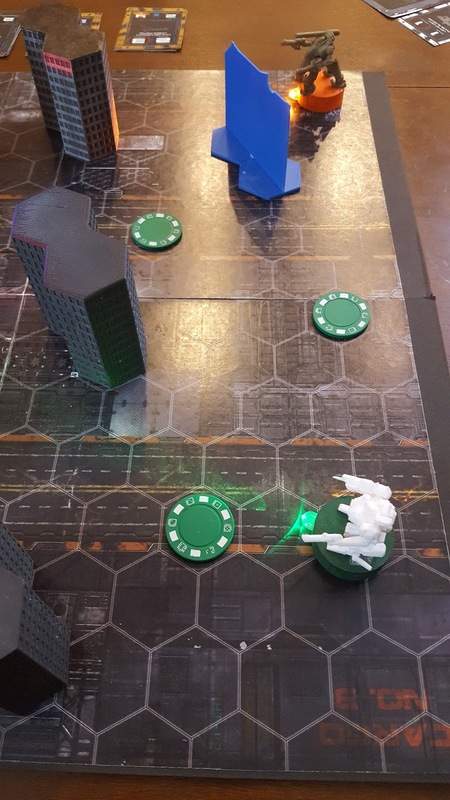 The miniatures are amazing and the mini LED lights used for targeting is genius. 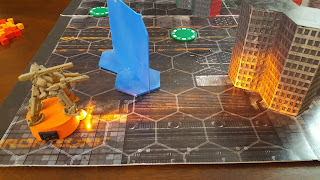 I was skeptical at first with how well the lights would illuminate the opponents mech but was soon put at ease as I saw the light reflected off the enemy's model from all the way across the board. I was also unsure about the RTS game play mechanic thinking it would be chaotic, however it wasn't even close. 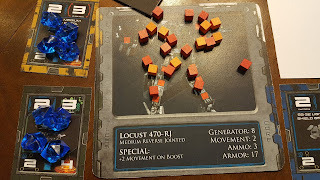 The way players must use one hand to place their energy and move the mech makes the plays more organized and almost rhythmic. Also once everyone has spent their energy the game pauses while all the mechs re-charge. This gives players time to rethink strategies and regroup with their teammates. Mech Command RTS has a lot going for it and will appeal to a large audience. 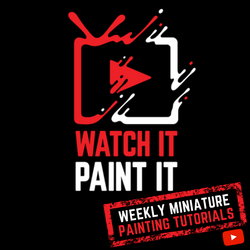 With the cool minis and awesome board and landscape tabletop war gamers and miniature fans will be drawn in. The unique RTS game play and theme will appeal to many video gamers. 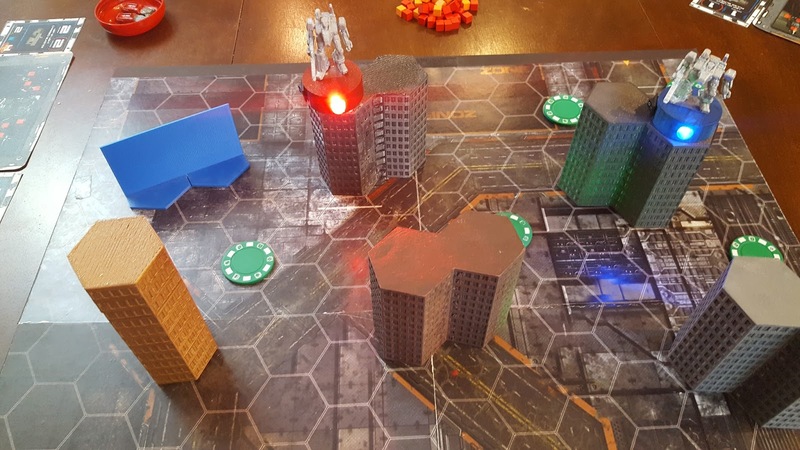 While the simplicity and speed of play will entice many board game enthusiast. The game is not only accessible to different types of gamers it also will appeal to a broad age range. I can easily see my younger sons being able to play and enjoy this game, in fact they are both dying to play it. I can also see older game groups geeking out over this game. Mech Command RTS is an awesome game and worth your attention. 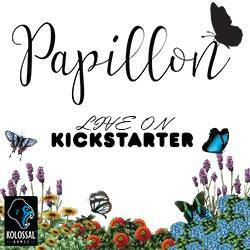 Check it out on Kickstarter.com, they have six days left (at the time of this post). 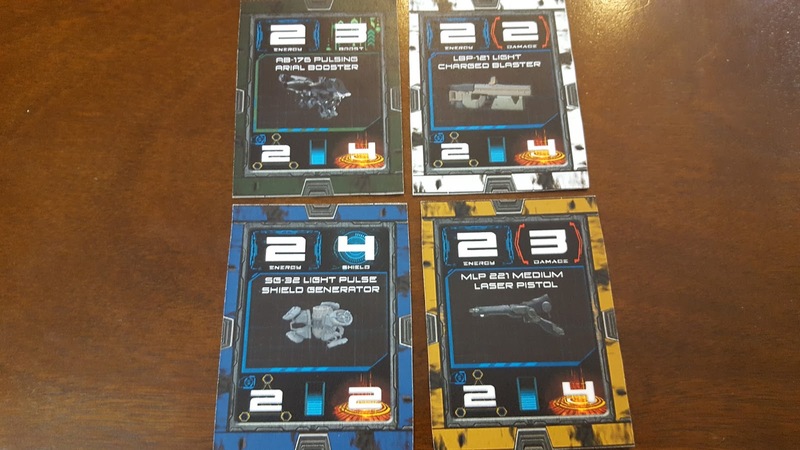 You can find more information about Mech Command RTS on BoardGameGeek.com and on Bad Crow Games's Facebook page. Behind the blue wall is a team base. seeing how much weight they could hold. In the video preview of how the game plays there is special effects with laser beams and explosions seeing as such things dont happen in the game and in real life you should leave them out um not to be rude but i just watch a mini play of the game and it looks really really boring there anything you want to point to make things less boring. i just am not seeing things here that other games have not done and many of them have already done better. what made you think adding led lights to things would be a great idea ?